Former Railway minister and Janata Dal-United leader Nitish Kumar on Wednesday said that bullet trains, proposed in this year's Railway budget, were not feasible in the country, though the concept sounded very impressive. Kumar said that he travelled from London to Paris on a bullet train during his time and made efforts to have it in India too during his tenure as the Railway minister. 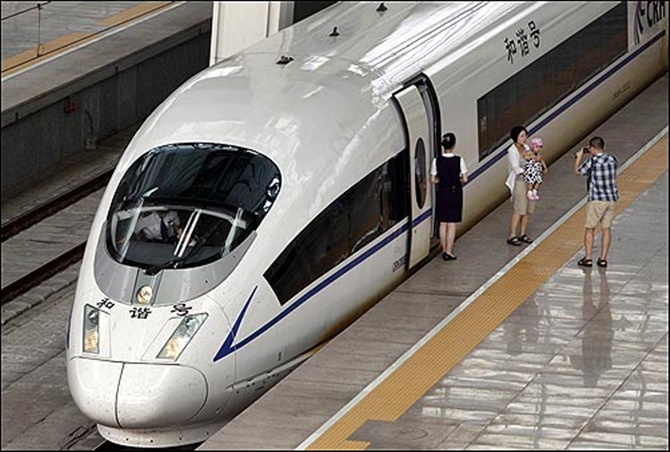 "The concept of Bullet trains is indeed very impressive but it has been not been found feasible in India," he said. First of all, a dedicated track was needed for a bullet train to run and for which a huge amount of land was needed too, Kumar said. Besides, there should be no highways contagious to the tracks to prevent it from falling over road vehicles in case of accidents as the speed went up to as high as 300 km per hour, he said. Railway minister Sadanand Gowda in his Railway Budget speech on Tuesday announced introduction of bullet trains starting off with the Mumbai-Ahmedabad sector. 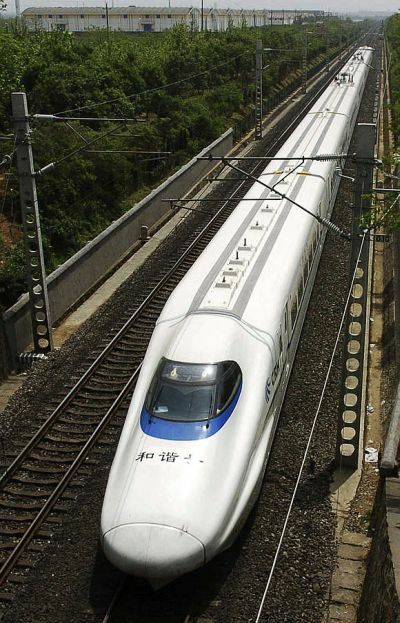 Image: A bullet train speeds past during a test operation in China. Kumar said that the concept had been mooted for the first time during the Indira Gandhi regime and since then had been customarily finding place in Railway budgets except in his time. 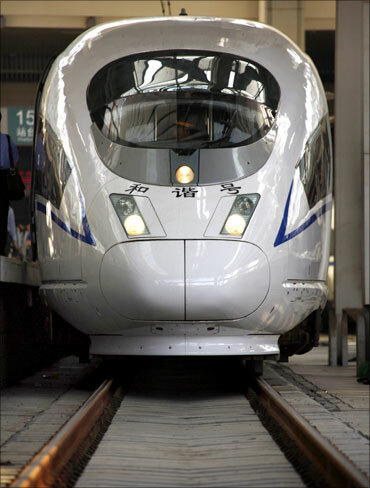 "The concept of bullet train was mooted for the first time in India during time of late Indira Gandhi in 1980. “Since than it has been finding place in the Budgets of all Railway ministers except in my time," Kumar, who was the Railway minister when National Democratic Alliance's Atal Bihari Vajpayee was the Prime Minister, told reporters.